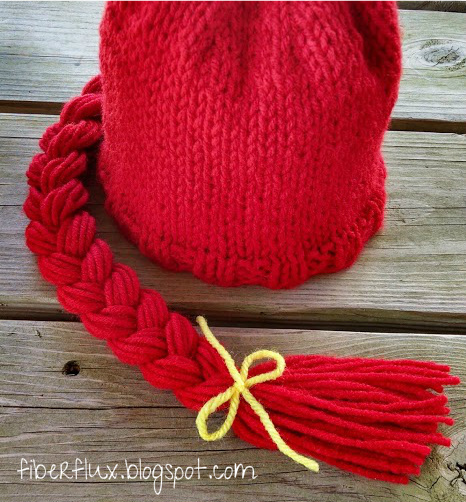 Fiber Flux: Free Knitting Pattern...Cowgirl Braid Hat! 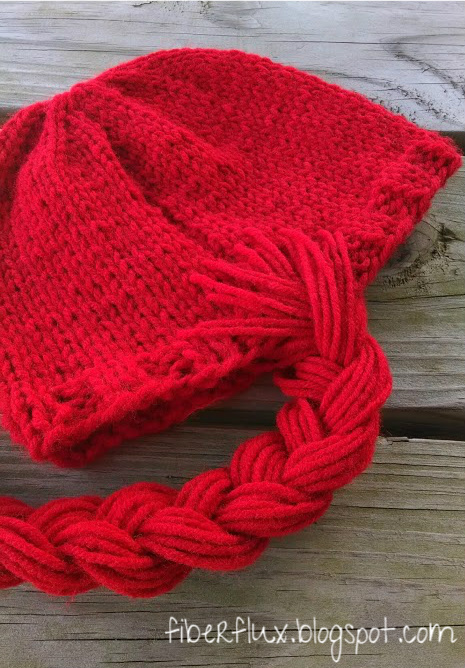 Free Knitting Pattern...Cowgirl Braid Hat! 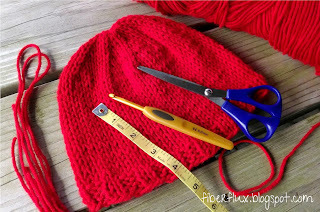 The Jessie hat is a fast and easy hat to make. 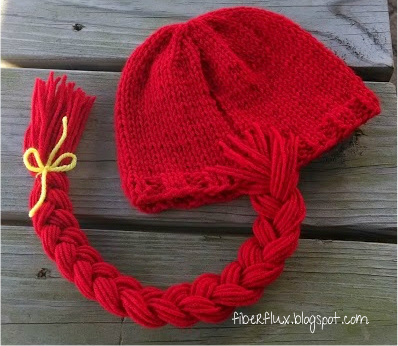 Wear it as a unique winter hat or as a cozy wig for a costume. 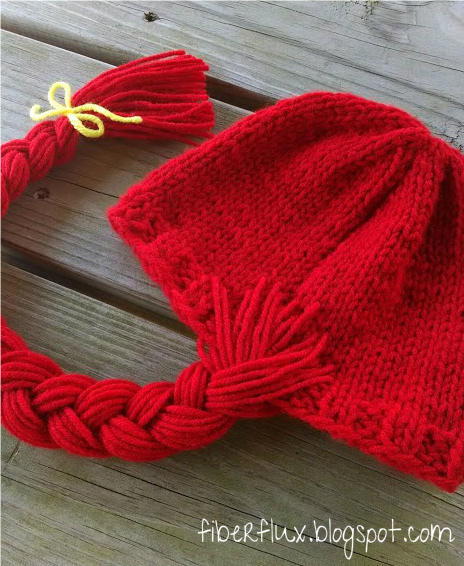 This cute and toasty hat is sized for preemie all the way up to an adult woman medium. 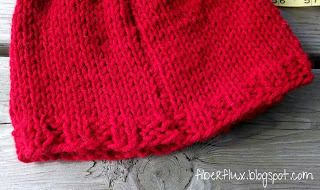 Instructions include the basic beanie pattern (flat or in the round...your choice!) and a helpful photo tutorial for making the braids. CO 40 (48, 56, 64), leaving a long tail for seaming up later. End on a WS row and begin decrease. Using tapestry needle, break yarn leaving a long tail. 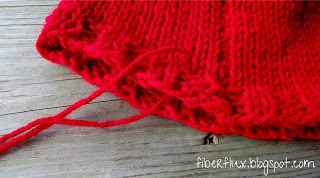 Thread through remaining stitches and pull tightly. 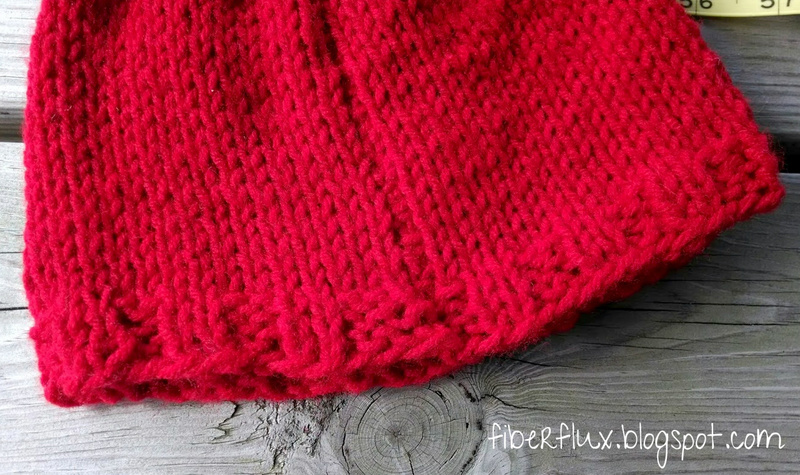 Seam up the back of hat and weave in ends. Fasten off. *Note: Switch to DPNs when necessary. 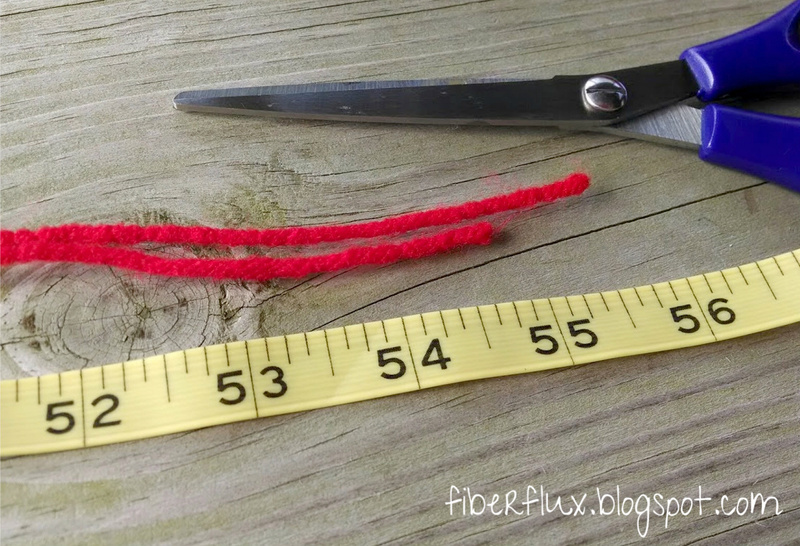 Using tapestry needle, break yarn leaving a long tail. 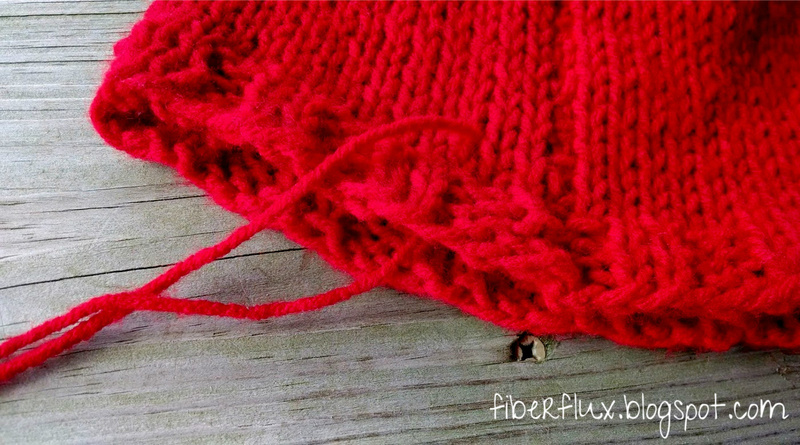 Thread through remaining stitches and pull tightly. Fasten off and weave in ends. The yarn braid is made by inserting yarn strands through the back of hat, then braided. To start you'll need the hat, scissors, a tapestry/yarn needle or crochet hook, a tape measure, and the same type of yarn used for the hat. To finish off the braid, you'll also need a small piece of yellow yarn or ribbon. 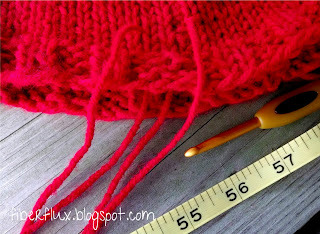 Using the tapestry/yarn needle, pull a strand of yarn through. 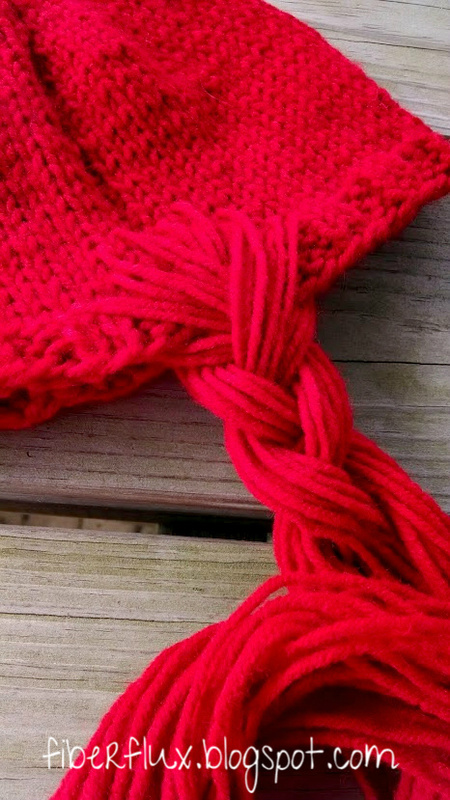 Pull all the way so that both yarn ends are even. Until a cluster of "hair" is formed. 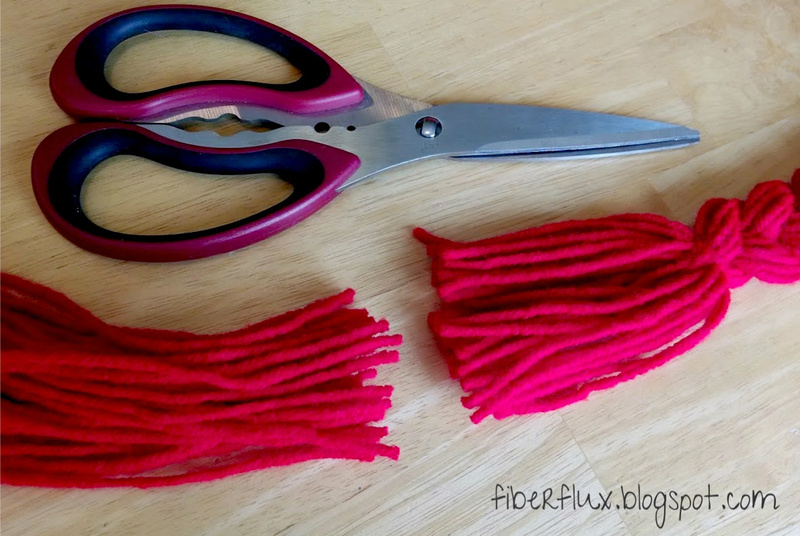 I would stop here and there and make a test braid as I worked so that I could make sure the braid would be thick enough as I added strands. After adding as many strands as you like, braid the yarn. This step can get a bit tangly...ask a volunteer to wear the hat while you braid. You could also clip the hat with a strong magnetic clip to the fridge or other magnetic surface and work the braid that way. 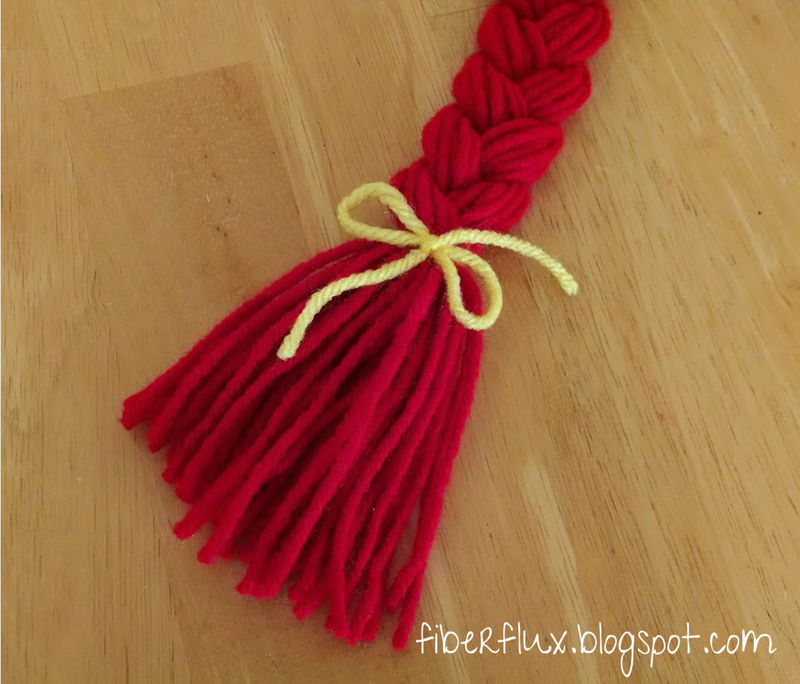 Finish off with a piece of yellow yarn (as shown above) or yellow ribbon. Done! 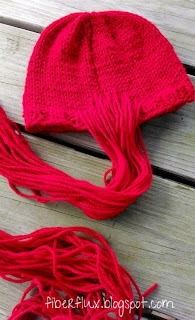 Jennifer, this hat is so adorable, thank you for another fantastic pattern. Very nice hat!Thank you !